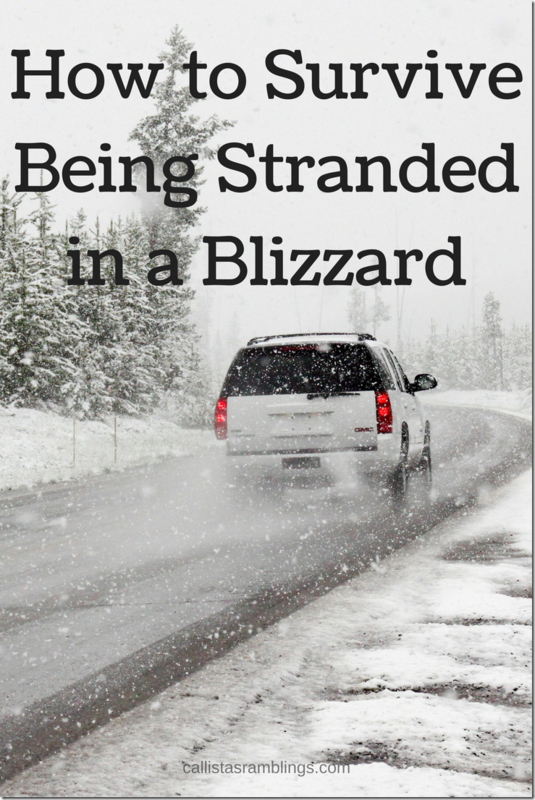 Winter weather is coming and it is important to be prepared for winter driving including knowing How to Survive Being Stranded in a Blizzard. It’s important to pack your car with the things you might need to survive such as food, water and blankets but these tips are good even if you aren’t as prepared as you should be. If you get stuck in the snow somewhere out of the city whether it’s still snowing or not there are a few things you really need to be sure of in order to stay safe. Your top priorities are staying WARM, DRY and SAFE. First of all if there is a building within view for the most part it is safer to go indoors. If that’s not possible though follow these suggestions. Stay in your vehicle for shelter and warmth. Keep the engine off as much as possible to conserve gas and energy. Make sure the exhaust pipe is clear of snow to prevent carbon monoxide poisoning. When you run the car, crack open a window that is sheltered from the wind again to prevent monoxide poisoning. Watch for other vehicles so you can flag them down if one comes by. Use road flares if you have them. Stay hydrated. Melt snow if you have no water. Staying hydrated keeps you warm. Keep moving to stay warm but keep seat belt on as much as possible incase another car hits you. Move your arms and legs, do twists in your seat, that sort of thing. Unless you are reading this on your phone’s data while stranded in the snow you have a leg up because you can prepare before you go out. Buy or make a first aid kit and add in food, water, blankets, flashlights, road flares, cat litter and a mini shovel. Make sure your car maintenance is up to date such as having winter tires installed or working heater or headlights. Cars.com has a section on services and repairs that includes step by step instructions on how to change tires, replace oil, check tire pressure and more. Always fully charge your phone before going on a long drive and check the weather conditions before heading out. Make sure someone knows where you are going and when you should be there as well as what route you will be taking.